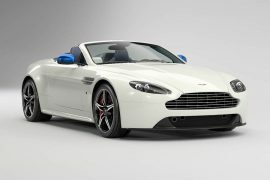 On show at the ongoing Geneva Motor Show is a special car. 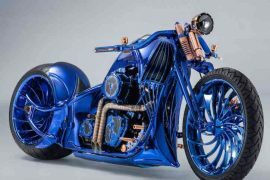 This, as you can see from pictures is a little different than your regular Mercedes. 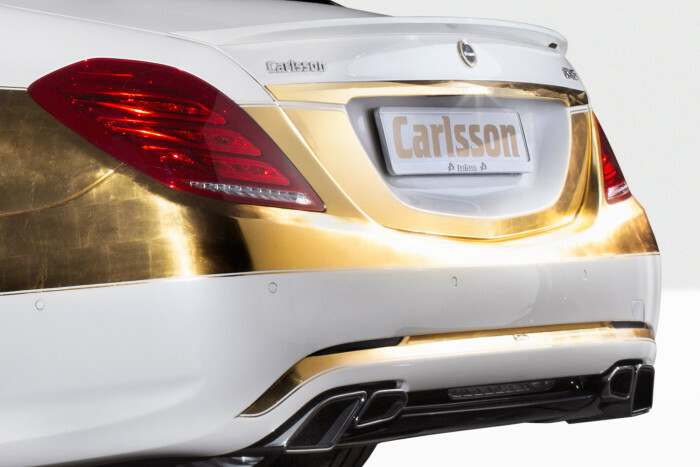 For all the bling and luxury car lovers, German tuning wizard Carlsson is offering the gold covered special-edition Mercedes-Benz based on new S-Class. 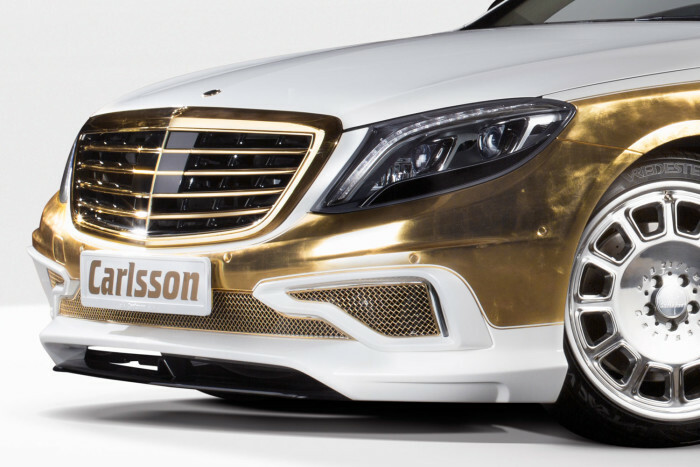 Named the Carlsson CS50 Versailles to honor the Palace of Versailles, it is decorated inside and out in gold just like its namesake. 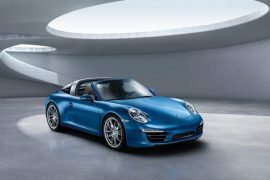 There is no shortage of buyers for the glittering car, Carlson announced they already received orders for more than 10 of the 25 limited edition cars from their existing customers. 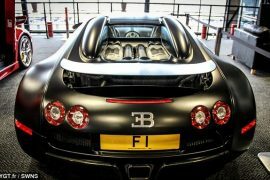 Each car is customizable to customers taste. 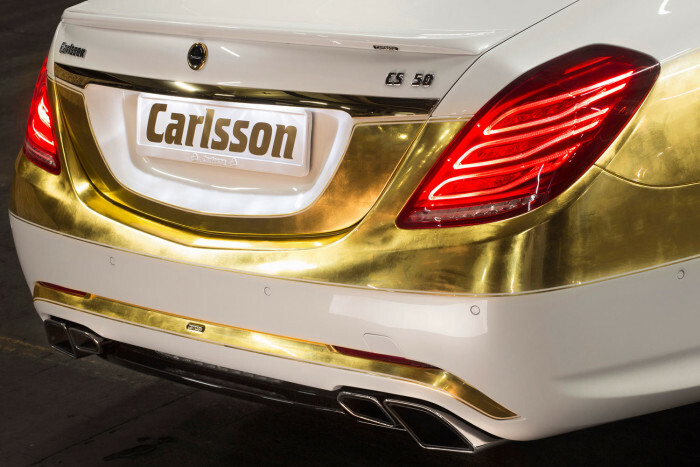 With the sparkling special edition, Carlsson is targeting to attract the super-rich in China and the Middle East. 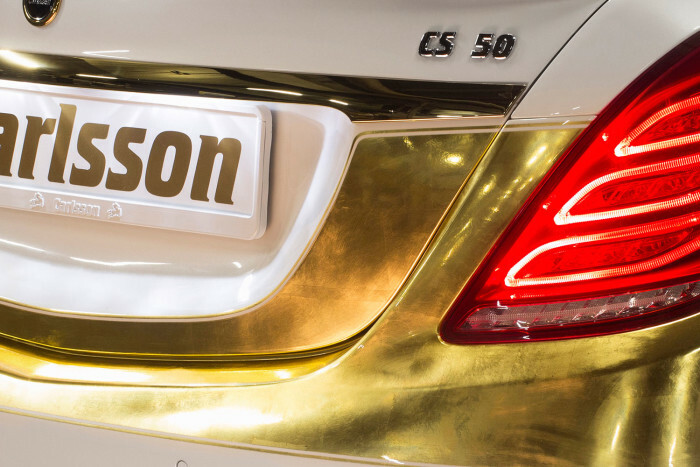 It takes Carlsson 300-man hours and over 14 days to complete intricate work on each car. Outside is decorated with more than 1,000 sheets of wafer thin gold leaves using special squirrel hair brushes. 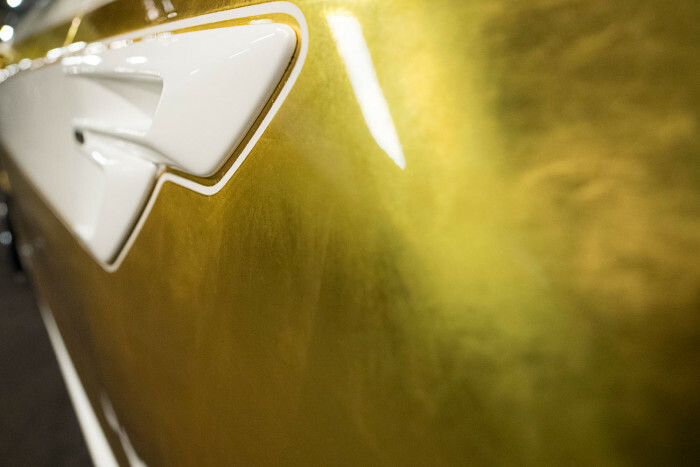 The radiator grille, door handles, and grille inserts in the front bumper all get covered in gold. 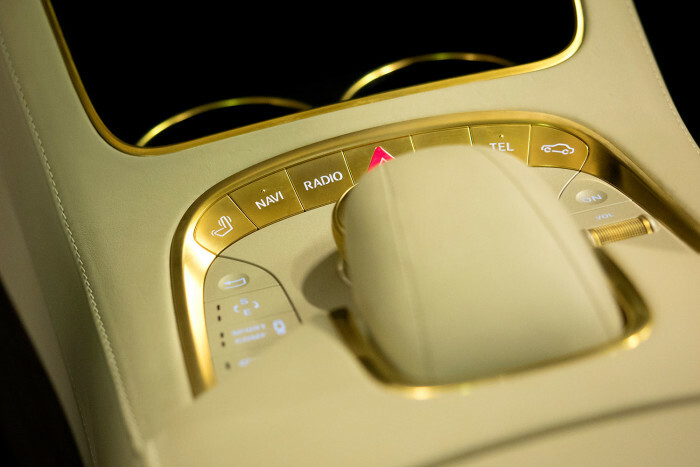 Inside the luxury cabin steering wheel, numerous buttons, knobs, air vents and even the speaker grilles glitter in gold. Adding luxury and gold makeover also extends to seats. 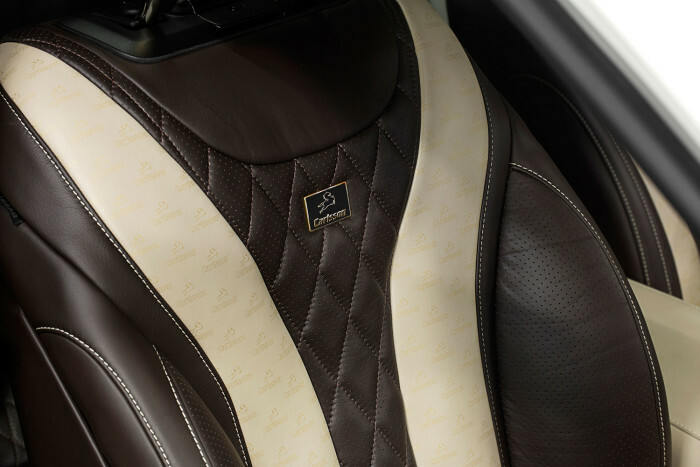 Seats feature Napa leather from Carlsson’s Signature Line in contrasting colors of dark brown and champagne with gold highlights. 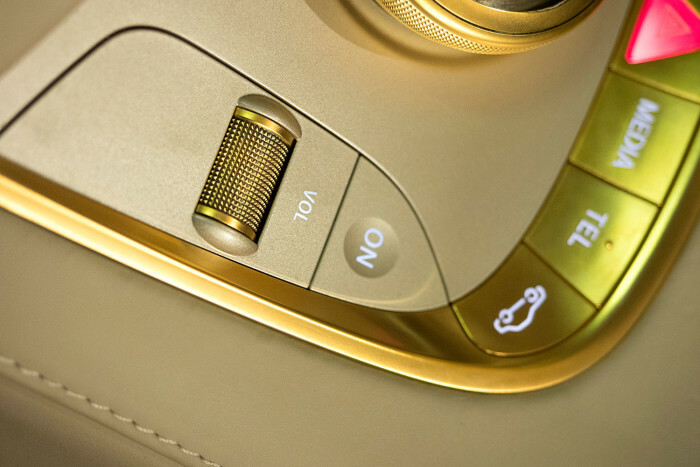 Giving it a finishing touch Carlsson logo in gold is imprinted into the champagne leather section. 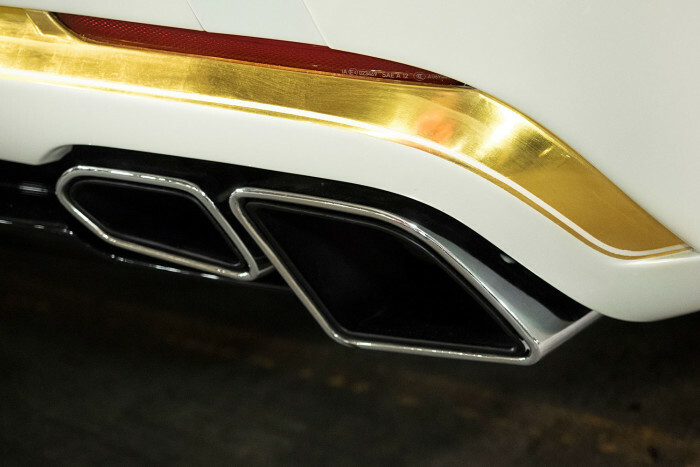 Decorating your super luxury Mercedes or any car for that matter in pure gold is not everyone’s cup of tea, some might even say it’s a bit tacky. 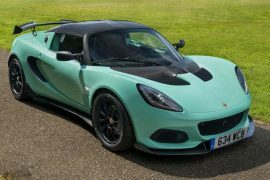 To quote Dolly Parton “You’d be surprised how much it costs to look this cheap!” So, if it is your choice be ready to fork out €359,000 or about $500,000.